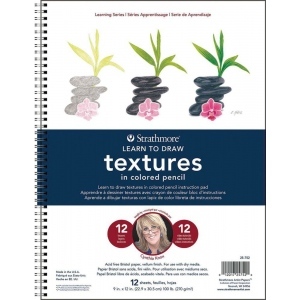 This instructional pad features Cynthia Knox’s lessons tips and techniques combined with quality Strathmore bristol paper all in one pad. 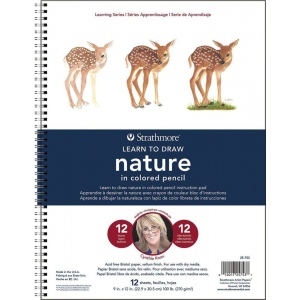 * The first pages contain tips supply recommendations and techniques to get you started with colored pencil. * Next you'll find 12 step-by-step lessons from Cynthia that you can follow along with. * In the back are 12 blank sheets of 100lb (270gsm) 300 Series Bristol Vellum paper (1 per lesson).